Since Bernie Madoff went to jail about nine years ago after confessing to running an estimated $50 billion Ponzi scheme, his former homes have only risen in value. But their connection to Madoff has little do with it, according to the Wall Street Journal. “For every example that can be provided for someone that paid a premium, you can provide one or more examples of a discount,” appraiser Jonathan Miller told the Journal. Apparently, extensive home renovations transformed most of the properties under the direction of their new owners, overcoming concerns that no one would buy the homes due to their infamous past, and offering a much-needed refresh. 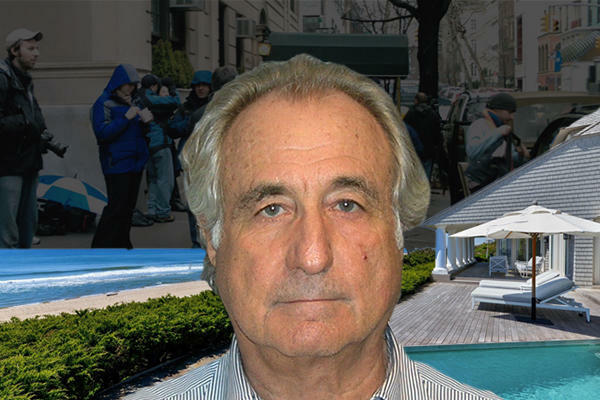 The four former Madoff homes included a penthouse on East 64th Street–where Madoff spent months under house arrest–and vacation homes on the French Riviera, in Palm Beach and Montauk. The proceeds of all sales, which came as the luxury market was bottoming out, went to paying restitution to Madoff’s victims. After massive renovations, the majority of the properties are valued at much greater prices today. The Manhattan penthouse, which was sold for $8 million in 2010 would demand over $13 million today. In Palm Beach, the five-bedroom home had sold for about $5.6 million and is now worth about $12 million. Finally, the Madoff’s Hamptons home was sold for $9.4 million to Steven and Daryl Roth, the latter of whom is the chairman of Vornado Realty Trust. In April, the Roths listed it for $21 million with Corcoran Group.